You are here: Home › News › News › SRLP News › Meet SRLP’s New Director of Client Services! 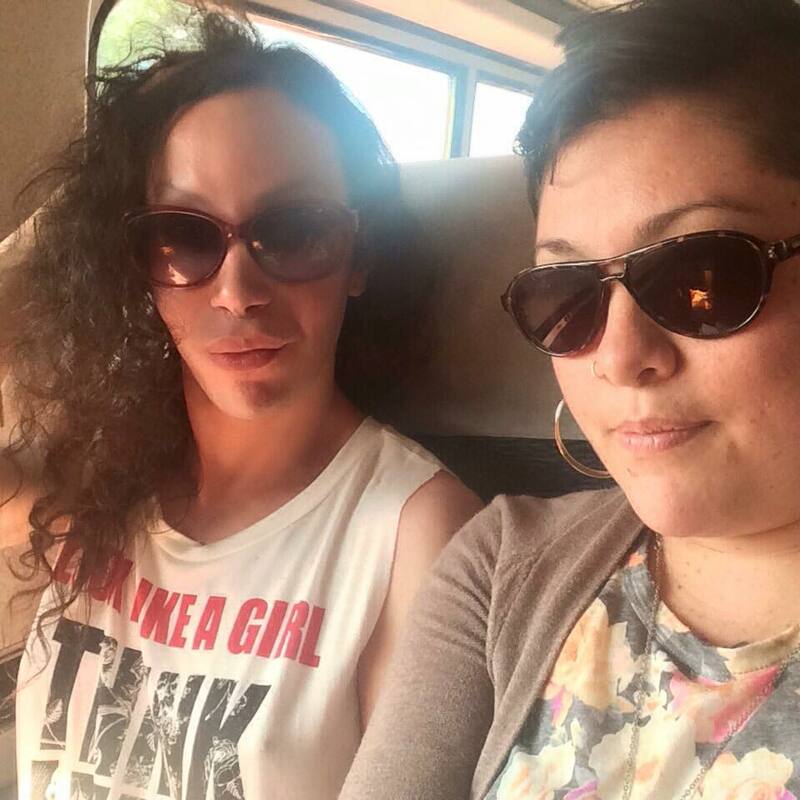 SRLP staff member Stefanie Rivera (right) and Juana Peralta (left) heading off to a symposium. This spring, SRLP was thrilled to grow its staff with a new full-time position. In April, Stefanie Rivera, one of the founding members of FIERCE, an empowering organization for LGBTQ youth of color in New York City, became our first-ever Director of Client Services. This position has been requested by community members, advocates, and clients for many years and we are all thrilled to be able to finally offer a full-time point of contact for people seeking legal services. With this new hire, SRLP is ensuring that our services consistently reach transgender, gender non-conforming, and intersex people of color and low-income people who may need extra assistance in navigating the legal landscape. Stefanie is playing a vital role in linking people with quality legal care, and we are thrilled to welcome her to this new role! One Response to Meet SRLP’s New Director of Client Services!